this reaffirms that there is interest from much larger players. 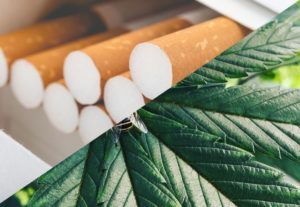 So now we have 1 Alcohol player ( Constellations) 1 Tobacco player (Altria) and 1 Beer player in form of a joint venture( Molson-Coors) involved win Cannabis. There are still many others than could come in and I still believe that TGOD has great potential for a takeout. I can smell the GMO, Glyphosate sprayed fields of cannabis already. SACRAMENTO – The Bureau of Cannabis Control (Bureau) today announced the release of the proposed cannabis regulations currently under review by the California Office of Administrative Law (OAL). The Bureau’s rulemaking action regarding these regulations, initially noticed on July 13, 2018, was submitted to OAL for review on December 3, 2018. Aloha. I’m pleased to see growing acceptance of Cannabis – and I wish everyone a healthy, wealthy and happy life. That said, I maintain that government has no – rightful – jurisdiction to prohibit Cannabis, or any other natural, God given plant bearing seeds from We the people. Full and free access to all the natural plants is part of our inheritance as Homo Sapiens born on planet Earth. I believe that Cannabis as a spiritual sacrament is worthy of First Amendment protections in everyone’s backyard garden, or farm. Let’s fully repeal Cannabis hemp, or “marijuana” prohibition now. Thank you. well there it is-the reason for the overregulation to squeeze out all the small guys to clear the path for the big boys. the process may still give some room for small growers when they said that they would buy from existing growers but take it from there. kinda the same as for small growers of oranges or avocados can sell or grow for the big business. but nevertheless all hopes and dreams for little guys to produce or sell will be gone in a few years due to prohibitive regs. The question remains: will this be craft beer all over again? Smaller growers, who have gained the respect and admiration of their customers, selling out to big cannabis to cash in on a pay day. Let’s just say I hope not, but I understand that unless a smaller business can compete on something other than price that this may be a foregone conclusion. The battleground is being set: Craft Cannabis versus Big Cannabis. Just going to sit back and watch for the time being and hope for the best here.